When handling large volumes of film, video, and CG data is part of your daily workflow, eliminate the chaos by using Spycer[[reg]] to automatically provide an overview of the contents in all storage systems and workstations. The innovative R&S®Spycer data management software lets you effectively review and manage extremely large volumes of data. Create a transparent network that allows you to view and edit the contents of all connected systems using a wide array of tools. If handling large volumes of film, video, and CG data is part of your daily workflow, then eliminate the chaos by using R&S®Spycer to automatically provide an overview of the contents in all storage systems and workstations. 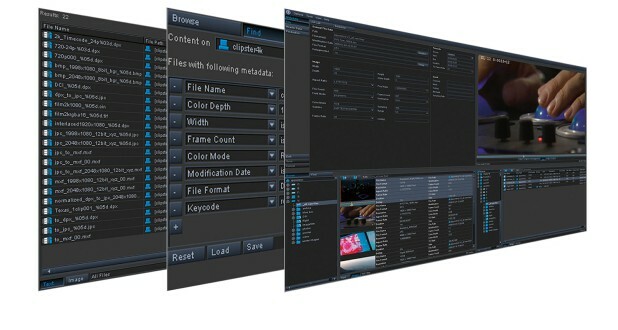 Our user-friendly software lets you effortlessly manage all of your content – from film scanners, telecines, cameras, VTRs, edit suites, and CGI. Easily browse and locate RED® files, MXF data or search on removed external hard disks. R&S®Spycer delivers sophisticated features for fast and convenient content control.